Note: The September 2019 intake is closed for new applications. Applications for direct entry and re-admission may be submitted. Applications for the January 2020 intake are currently being accepted. BCIT's Computer Systems Technology (CST) two-year diploma program combines computer systems theory with hands-on practical experience in software development. You'll learn software engineering and programming from industry professionals, and gain experience working on real projects, from concept to deployment. In second year, specialty options add depth and further hone your skills. The CST diploma is a widely-recognized credential that is highly regarded by employers. Graduates emerge with the well-rounded skills essential for a career analyzing, designing, and developing software solutions. Who should apply for Computer Systems Technology? Read more about this CST grad's journey. Effective September 2018, the Computer Systems Technology program will be offered at both the Burnaby and Downtown campuses. Accepted applicants will be assigned to either the Burnaby or Downtown Campus as part of their admission offer. November 1st* to March 6th* for the Fall (September) intake. March 15th* to August 28th* for the Winter (January) intake. We recommend that you apply early. All supporting documents must be submitted by the application deadline. Applicants with preferred entrance requirements are to submit transcripts and supporting documentation with their online application. Note: Foundations of Mathematics 12 is not acceptable. Admission is competitive and will be offered to the most qualified applicants. The competitive calculation formula takes the average of the applicant’s secondary or post-secondary English and math scores. Make sure to advise Admissions of your highest grades. A waitlist of eligible applicants, ranked in competitive order, will be kept in the event that a seat becomes available prior to the end of the first week of term. The waitlist is cleared once the program intake is full and closed; unsuccessful applicants must re-apply to be considered for the next intake. Unsuccessful students may wish to upgrade their math and English before re-applying. BCIT is committed to providing assistance to all its full- and part-time students with permanent or temporary, visible or non-visible disabilities. Current and future students who maybe need support to overcome the limits and barriers that you may encounter during your studies are encouraged to contact BCIT’s Accessibility Services to attend an information session or to arrange an interview with one of the institute's Vocational Rehabilitation Specialists. Competitive entry: Successful completion of admission requirements does not guarantee acceptance into this program. If the number of applicants exceeds available seats, BCIT will select those applicants deemed to have the best opportunity for success. Acceptance based on seat availability: Confirmation of seat availability may not be available until approximately one week before the term begins. Re-admission: Have you completed part of this program at BCIT and want to apply to resume your studies? Please email cst_enquiries@bcit.ca for a re-admission information kit. You must submit an approved re-admission form from the program area with your online application. Direct Entry: Are you new to this program but have completed an equivalent part of it at BCIT or elsewhere and want to apply to Level 2 or Level 3? Please email cst_enquiries@bcit.ca for a pre-assessment information kit. You must submit an approved pre-entry assessment from the program area and proof of meeting all Level 1 entrance requirements with your online application. *Applicants submitting overseas documents should apply early. The assessment may take up to four months. Note: The Registrar's Office is the official authority on admission and entrance requirements and has the final say on whether or not you meet all entrance requirements for this program. You are responsible for submitting sufficient documentation to BCIT Admissions so they can assess this. Apply directly to the Computer Systems Technology Diploma program. This program shares a common first year of core subjects. In the second year, students choose a specialization. You can check the status of your application online at any time using the Student Information System. September and January each year. The Technology Entry (TE) program is a full-time, day school program which provides academic upgrading to students wishing to enroll in Computing, Engineering, Electronic, and Health Sciences programs at BCIT. The TE program provides courses in chemistry, communication, mathematics, and physics that meet program prerequisites for selected programs at BCIT. The TE program also includes an introductory course in computer applications and a learning skills course. The program is supportive to those who require English-language training. Within two business days of submitting your completed application, BCIT will send a message to your personal and myBCIT e-mail addresses. All correspondence regarding your application will be posted to your online myCommunication account at my.bcit.ca. We'll send you an e-mail when a new message is posted. It's important to watch for these e-mails or regularly check your account online. Learn about the IUGO Entrance Award and other entrance awards. Books are expected to cost $500 to $800 per term. (General estimated cost, subject to change). Although a substantial amount of teaching and instruction occurs in labs using BCIT computers, students in CST must also have their own Windows-compatible laptop for use in the program. Information on the required specifications will be provided to accepted applicants. Costs for such a computer will vary depending on configuration chosen, but will likely range from approximately $1000 to $2000. Note: The CST program curriculum has been revised effective for the Sept 2018 intake. Students that began the program prior to Sept 2018, refer to this Program Matrix [PDF]. Information technology professionals spend time each day communicating orally and in writing with their supervisors, colleagues and clients. As problem-solvers and entrepreneurs in industry, you need to communicate quickly, clearly, and effectively. This course will teach you how to be a professional and efficient communicator at work. You will write effective business correspondence and instructions and deliver a formal oral presentation to your set. The first term establishes the principles and basic patterns on which you will build more advanced applications in the second term. The course covers topics of importance to new and continuing students on how to balance school and related activities to enhance chances of success in their academic careers. In this course students will learn a variety of different techniques to improve study habits, note taking, and time management skills. The class will also present other topics of interest to CST students and will introduce students to various support systems at BCIT. Comp 1113 is partially discrete mathematics, partially an introduction to linear equations. The purpose of this course is to give a strong foundation for future technical and programming courses. The course is divided into three parts: (1) Boolean algebra and design of logic circuits; (2) number systems and data representation; and (3) functions, linear equations, vectors and matrices. This hands-on course is the foundation for all future programming courses and complements COMP 1536 and COMP 1910. This course introduces the fundamental concepts of programming including design, development, testing, debugging simple programs, as well as error-handling, and problem solving. Business Analysis and Systems Design is the study of concepts, processes and tools that professionals use to plan and develop information systems to industry standards. Students learn how to ask implicit questions, to create and document communication plans and to make better decisions prior to creating a software system. Beginning with an introduction to the Software Development Life Cycle (SDLC), students work in teams to initiate the system process, analyze problems, discover requirements and create a logical design. Topics include: techniques used in the discovery of business requirements, traditional approaches to data and process modelling, entity-relationship diagrams, and an introduction to relational database normalization. Agile life cycles such as Scrum are also introduced and compared to more planned life cycles such as waterfall. By the end of this course, successful participants will be able to use tools and methods commonly used in industry to analyze, design, and implement information systems as confirmed by a term project. This hands-on course follows on from COMP 1510. This course covers the fundamental concepts of design, development, testing, and debugging intermediate-level programs in a procedural language. Topics include language syntax, data abstraction and encapsulation, error handling, graphical user interfaces, and the implementation of selected data structures and algorithms. Prerequisite: COMP 1510 or (PTS equivalents COMP 1409 and COMP 1451). This course covers relational database technology, including basic concepts, relational algebra, enhanced entity-relationship data modeling, functional dependencies and normalization, design methodology, SQL query language (DDL and DML), views, access control and transaction management. Students design and implement a database application using RDBMS. Also covers some current database trends such as data warehousing and OLAP, and use of databases through web technology. Note: At the end of the first year, students apply to a specialty option. This course introduces students to the concepts of object oriented analysis and design in software development based on modeling objects from the real world and using the model for language independent design organized around those objects. The Object Oriented approach helps students to capture better understanding of user requirements and design. It introduces students to a way of thinking abstractly about a problem using real-world concepts. Graphical modeling language such as UML (Unified Modeling Language) will be explored and students will gain knowledge and hands on experience accompanied by selected Integrated Development Environment (IDE) tool with code generation and reverse engineering capabilities. Students will learn to apply the modeling technique through the analysis and design phases of software development process framework, with a strong emphasis on iterative approach and agile process favoured by the Object Oriented community. Basic GRASP (General Responsibility Assignment Software Principles) design principles including Responsibility Driven Design (RDD) will be discussed. Allows students to work on projects within guidelines specified by faculty. The projects are drawn from a variety of sources, especially from industrial situations, and may require extensive contact with the business community. Students work in teams and seek advice from a faculty member acting as their project supervisor. Prerequisites: Completion of first year CST and Admission into a CST Option. Note: Students in Tech Entrepreneur option are not required to take COMP 3712. This course provides in-depth understanding of developing and analyzing distributed systems. The focus is on developing distributed systems on desktop as well as mobile environments and analyzing the impact of networking technologies on their performance, reliability, scalability, consistency and security. Students will develop distributed applications using sockets / datagrams / multicast sockets, processes/threads/pipes/FIFOs; middleware that may include COM/DCOM or RPC; and web technologies. Prerequisites: Completion of first year and admission into the Client Server option. This course focuses on advanced topics in database technologies, database systems design and development tools, data management, enterprise servers and systems, and relevant related areas. Topics reflect on the current trends in the use of databases in the industry. Some of these topics include: business intelligence, data warehousing and OLAP, databases on the web, database applications based on 3-tier and n-tier models, development for enterprise systems, and connectivity and GUI development. Students will develop such database-related applications using software tools and products from Microsoft and/or Oracle. This course is an introduction to protocol design and implementation using the Windows and Linux platforms. Introduction of basic synchronous and asynchronous protocols and device interfaces. Windows systems-level programming and multithreaded applications design and implementation. Interfacing to Communications hardware such as RFID transceivers, GPS devices, and wireless modems. Implementation of bit and character-oriented protocols. Introduction to wireless communication protocols and implementation of error detection/correction algorithms. Also covered will be Embedded Linux applications development using boards such as the Arduino, Raspberry Pi and Beagle boards. Introduction to Linux server services deployment and security. Prerequisite: Completion of first year and admission into the Data Communication and Internetworking option. The course will examine the fundamental issues surrounding digital audio. Concepts such as the basics of digital sound (Nyquist, re-sampling, quantization errors, frequency spectrum, DFT), and the techniques to alter sound waves using filters will be covered. Compression algorithms as it relates to sound will also be inspected (eg. Adaptive Difference PCM, MPEG for audio). Development of one or two major projects using the students language of choice (C, C++, C#, Java). Prerequisites: Completion of first year and admission into the Digital Processing option. The course covers design and implementation of large software systems. The emphasis is on web-enabled or distributed systems such as corporate web sites, banking systems, order entry and processing systems, and even distributed games or mobile clients. The programming component emphasizes Java Enterprise Applications, including Java Server Faces, database access, concurrency, distributed objects, and web applications. Students use these technologies to develop small multi-tier web applications. Prerequisites: Completion of first year and admission to the Information Systems option. The course offers basic knowledge of Canadian law with emphasis on how the law affects those in the computer industry. The course includes the law of tort, contracts, sale of goods, secured transactions, employment, intellectual property, partnerships and companies. Examines the planning stages involved in defining and analyzing a new business idea including evaluating the market and competition to determine feasibility, selecting and reaching a target market, organizing day-to-day business operations, identifying and assessing potential revenue streams, and sourcing and managing financing. Major emphasis is on the preparation of a complete business plan based on research and analysis. Topics will also include business model alternatives, legal requirements, insurance, and taxes. This course will be helpful for anyone wishing to start their own software business, or who wish to learn about fundamental business and entrepreneurial career skills. Prerequisite: Completion of first year CST and Admission into the Tech Entrepreneur Option. Students work on projects within guidelines specified by faculty. Students will work in teams and come up with their own business idea that solves a real-world need for customers. Students will work directly with potential customers to validate their business idea and seek advice from a faculty member acting as their project supervisor. Entrance into the BCIC New Ventures BC Competition is optional, but highly recommended. Prerequisite: Completion of first year CST and Admission into the Tech Entrepreneur Option. This course is designed to enhance the students’ programming skills and abilities, and expose them to the newest tools and technologies. The course is focused on application development using as vehicle of instruction the .NET framework and the C# language. The main topics are: Microsoft .NET framework, Common Language Runtime, the .NET Framework Library, Common Language Specification, managed code, object oriented programming in C#, graphical user interfaces with Windows forms, dynamic-linked libraries, custom and user controls, and unit testing. The students will learn the C# language, compare it with other languages (C++ and Java), and enhance their object oriented skills by developing software applications Prerequisite: Completion of first year and admission into the Technical Programming option. Note: Students in Tech Entrepreneur option are not required to take COMP 4900. The Co-op experience allows students to apply the knowledge learned from the program. This is a paid position acquired through the Co-op Education office. Prerequisite: Successful completion of COMP 2990. All courses are 15 weeks in duration except where otherwise noted. * denotes a five-week course, delivered from late April through to the end of May. ** COMP 2930 is optional for students who successfully complete one term of co-op education. The CST Diploma is a two-year full-time program. The first year of CST introduces the core skills and theory used in all areas of software development. Web development, programming, scripting, and computer architecture are all introduced. First year culminates in students working as part of a team to build an application of their own design. Students have a choice of option courses, however, there is limited space in each option, and first year grades are considered for option approval. Note: availability of options is subject to change, and some options are not offered every term. The Artificial Intelligence and Machine Learning option focuses on the design and development of software to process, visualize, analyze and model data sets for the purposes of decision making and prediction. Students will develop an understanding of the fundamentals underpinning artificial intelligence and machine learning applications. Topics include search, games, constraint satisfaction problems, knowledge and reasoning, regression, classification, clustering, dimensionality reduction and kernel methods. Practical work will focus on analyzing real-world data sets, developing artificial intelligence and machine learning systems, as well as evaluating the performance of the systems for various domains. The Client/Server option offers specialized courses covering the subject areas of client/server computing, distributed computing, and mobile computing. Topics include architecture, modeling and structural issues, inter-process communications, and strategies to ensure performance, reliability, scalability, availability, interoperability, and security in such systems. Using the latest software development environments and engineering tools, students develop systems and services involving network programming, database programming, web development and operating systems. Students in the Cloud Computing option will obtain hands-on experience using a wide variety of resources and services available on the world’s leading cloud computing platforms. Students will learn to create and maintain complex virtual computing environments. Students will also learn how to utilize automated software deployment, continuous integration, continuous delivery and continuous monitoring tools in cloud computing environments according to DevOps (development and operations) practices. The option culminates in students designing and developing software natively for cloud computing platforms. This type of development involves creating microservices and containers designed for serverless architectures. Please note: students in the Cloud Computing option will be posting their work on servers outside of Canada. Students will be required to sign a Student Consent Statement acknowledging this fact. The Database option focuses on traditional relational and advanced database technologies, data analytics as well as big data storage and the use of data mining techniques from the fields of artificial intelligence and machine intelligence to gain insights into the data. It also covers modelling, data cleansing and integration, implementation, and access of data warehouse for corporate and financial data, as well as conducting business intelligence using OLAP analysis. In addition, students will learn how to work with cloud databases, develop data driven applications, provide web services for data consumption from web or mobile applications. The option builds on the students’ basic understanding of relational database management systems and SQL, and covers the use of advanced SQL features, data visualization, data analytics and data mining packages in R and Python, and how to manage big data using the Hadoop ecosystem. The Data Communications and Internetworking option specializes in network architecture design, software development, and network security skills. Courses in the option place a heavy emphasis on practical software development skills such as design, coding, debugging, and testing. Topics covered include protocol design and implementation; low-level systems programming on the Linux, Android, and Windows platforms; network application software development using the TCP/IP protocol suite; wireless protocol design; and the design and implementation of device-level communications applications. Devices used include Embedded Linux boards, Android devices, Radio Frequency Identification Devices (RFID), Wireless modems, and GPS devices. Practical work is focused around the analysis, application design, and implementation of the TCP/IP protocol suite. The environment is very team-oriented and "real world". The Digital Processing option focuses on the development of digital image, video, and audio systems especially as it relates to gaming. Emphasis is placed on development of tools for new media applications. Topics include image processing, fundamentals of audio and video streams, 3D gaming environments using DirectX, and performance improvement with concurrent programming and MMX/SSE. Various techniques are studied for making filters (Finite Impulse Filters, Infinite Impulse Filters, Gausian smoothing, First-Order and 2nd-order edge-detection), morphing and warping techniques, compression (JPEG, MPEG, Wavelets), mirrors, and picking in 3D worlds. Advanced projects are usually drawn from IEEE papers such as template matching, face recognition, image stitching, and others. Team projects in game development on phones/tablets and the PC are encouraged. The Information Systems option specializes in developing web-based and mobile applications required by medium and large businesses. Students develop large applications with state-of-the-art tools and application servers, and learn to administer Linux and Windows Servers. Topics include system architecture, performance, scalability, and security in distributed systems. Technologies covered include both Enterprise Java (including Java Server Faces, Java Persistence Architecture, Enterprise Java Beans) and Microsoft's .NET (including ASP.NET, C#, Web services). More than two thirds of Canadian tech firms have only 1-4 employees. These small firms need to be nimble to grow and compete in this thriving sector. For students who hope to build their own start-up company, or expect to work in one, this option will help them learn the wide range of skills needed to start and grow a company. Students will work on creating a business from the ground up, including ideation, market validation, legal requirements, business plan, pitching, and creating a Minimum Viable Product (MVP). The Technical Programming option covers advanced techniques in design and software development. Topics include code techniques used for desktop, web and distributed applications (client-server and three-tier architectures), concurrent programming (multi-threading, synchronization and interprocess communication), design principles of human-computer interaction, and project management. Students gain practical knowledge of low-level aspects of systems and programming constructs (e.g. concurrency control, memory management, and thread/process scheduling). They analyze the users' needs by applying practical usability strategies and design and construct efficient computer applications with an emphasis on proper design, robust code, documentation, optimization and testing. Students acquire valuable real-world experience through a large-group software development project in term four. All students in the set work together towards the same goal. The project is intended to give students the opportunity to experience the challenges and responsibilities of a real-life project. The languages used in this option are C/C++/C# and the technologies utilized are the .NET Framework, ASP.NET, ADO.NET, WPF and WCF. During the second year, students work directly with external industry sponsors on computing or IT-related projects via the Industry Sponsored Student Project (ISSP), applying their newly-learned skills, and acquiring real-world experience. Students work in teams with an industry sponsor, proceeding through the development life-cycle to develop an IT or software solution. All students participate in two projects. Two years, full-time beginning in September and January of each year. The September term is 15 weeks in length. The January term is also 15 weeks in length, followed by a five week projects term. In order to be eligible for graduation, students must complete the diploma program requirements within three years of entering the program. The Computer Systems Technology two-year diploma program has been accredited by the Canadian Information Processing Society (CIPS). Consequently, a CST graduate may receive an ISP (Information Systems Professional) designation after five years of relevant work experience. The Computer Systems Technology program is offered at both the Burnaby and Downtown campuses. Accepted applicants will be assigned to either the Burnaby or Downtown Campus as part of their admission offer. Graduates of the Computer Systems Technology Diploma program may pursue a BCIT Bachelor of Technology in Computer Systems degree. The degree program is an extension of the diploma program, covering advanced technological and management skills, which can help position graduates for further progression in the IT workplace. The optional co-op education component of the CST program provides students with substantial benefits in their IT career preparation, given that employers are more eager to hire graduates who have had some co-op experience. Students opting for co-op education are required to meet year one performance qualification criteria. Students will require a minimum of two four-month co-op terms to graduate with a co-op designation on their CST diploma. These two co-op terms could be back to back, or in two separate terms, but they must happen before the final term of the program. Computer Systems Technology Diploma graduates have a wide variety of career options in the IT industry. Many start their careers as an entry-level software developer, application programmer, software tester, or network or database administrator. Later they can progress to positions such as systems analyst, IT project managers, team leads, software architects, information security analyst, and senior consultant. Some students take the IT entrepreneurial path by starting their own business. Companies founded by our grads include Burton Software/Icicle Technologies, CAMS Software/Prospero, Skybox Labs and PlentyofFish. Read more about this alumnus who is creating opportunities for others. Graduates of the Computer Systems Technology program can also pursue a Bachelor of Technology in Computer Systems at BCIT. 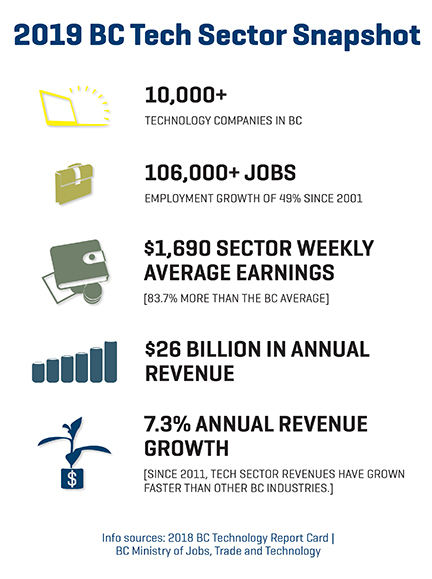 BCIT is well-respected by employers for its ties to industry. In Computing, this connection is formalized through a Program Advisory Committee (PAC) comprised of experts in a range of roles from a cross-section of companies. The department consults regularly to ensure program currency and relevance. "The trick in growing a company or moving forward is to identify trends that have staying power: in programming, everything is always about adaptability, change and survival. Back at BCIT they really gave us the foundation and framework to constantly learn new things." If you've missed a Computing Full-time Programs information session, you can watch the full video. Note: This information session was held December 1, 2016 and topics discussed in this session are subject to change without notice.